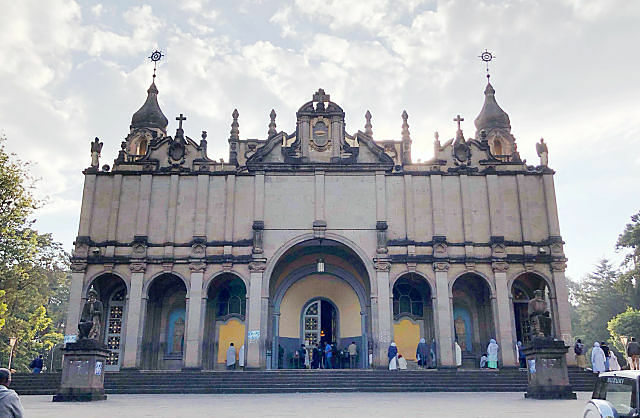 The church, in Ethiopia’s capital, is intimately tied to the country’s history. Many national heroes are buried in its gardens. The throne of last emperor, Haile Selassie, is still right next to the altar, and his and the empress’s remains are said to be buried here. Ethiopians come before dawn to pray. Adanech Woldermariam, who is in her 70s, stands outside and sets her forehead against one of the cathedral’s stone walls. She looks up, her face framed by a white, cotton headscarf, and she begins to weep. She is reminded of a brutal border conflict between Ethiopia and Eritrea in the late 1990s that killed tens of thousands and eventually led to a two-decade cold war. For decades, she says, she has wanted to speak that truth in public. And now, she finally can. Over the past year, Ethiopia has gone through a historic transformation at breakneck speed. The country welcomed a new reformist prime minister, Abiy Ahmed, in April. He forged peace with former enemy Eritrea, ended an almost four-month-long state of emergency and freed the country’s thousands of political prisoners. Seemingly overnight, the new leader opened up a democratic space — allowing foes, allies and regular Ethiopians a chance to speak their minds — after decades of authoritarian rule. Outside the church, Teshale Abebe is praying among the trees and tombstones. At 65, he is old enough to remember that you couldn’t criticize the king. In the 1970s and ’80s, he lived through the communist regime, which massacred its political opponents in a period known as the Ethiopian Red Terror. And he saw what happened over the past three years as a government intent on squashing a protest movement threw tens of thousands in jail and killed at least 1,000 young people demonstrating in the streets. He is happy about this year’s reforms and cherishes that he can talk openly about politics now. He says he came to pray that the changes continue. But history, he says, makes him feel that this is all tenuous.